In this blog we cover general internet news, trends, and how-to's of interest to our clients. Did you receive an email claiming that your device has been "hacked" and demanding payment? SSL or Not SSL. Does your Website need to run Securely? 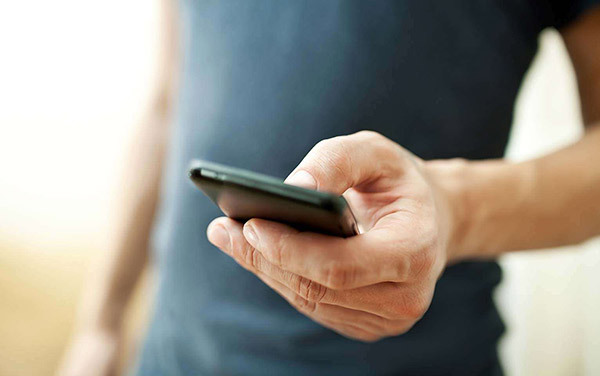 Mobile and You -- Part 4: Do You Need a Mobile Website? Mobile and You -- Part 3: How Does My Current Website Look on a Mobile Device? Mobile and You -- Part 2: What is a Mobile Website? What is a Mobile App? What is mobile-first? It's a principle used in designing websites where the mobile version is designed first, then the desktop versions. This is the opposite of how many websites were designed in the past, where the desktop version was up and running, and mobile was added later. As increasing numbers of your web visitors arrive via a mobile phone, the mobile experience becomes just as important, or even more so, than the desktop experience. Recent surveys from comscore report that over 60% of web traffic now comes from mobile devices. Read my earlier blogs about how to decide if mobile is right for your website, but the answer in most cases is "Yes". So why design websites using "Mobile-First" thinking? It forces us (you the content owner, and me the designer) to think about hierarchy. Mobile users are used to scrolling, but you still want the most important content at the top of each page. You'll have to optimize and edit your content. Even though Mobile users are used to scrolling, you don't want the pages to be tooooooo long. Some content that you can include in the desktop version should be excluded from the mobile version. Consider whether to include complex visualizations or navigation. Something that may be really cool on a desktop would be a nightmare to implement in mobile, or even worse, make no sense to the user. KISS (keep it simple stupid) is my guiding principle when designing sites, and it is even more important for mobile. It optimizes web site performance. Large design elements, like graphics or videos, that may download fairly quickly on a wired desktop computer, may download quite slowly on a mobile network. Do we really need these elements in the mobile site? Mobile won't feel like an afterthought. Since the share of users visiting your website via mobile will continue to grow, you want your best impression given to these users. Designing mobile-first makes sure that happens. I try to be very conscious of the experience your website gives users, on both mobile and desktop. By thinking mobile-first we can make sure that whatever choices we make will render well on both environments. Local, Custom, and Dedicated to your Web Success. Based in Saugerties and serving the entire Hudson Valley region of NY state, and beyond. © Tuned-In Web Design Inc.